The colder weather can be problematic for eczema sufferers, but we have some tips to keep pain and discomfort at bay this winter. For the six million people in the UK who suffer from eczema, the sudden change of temperature this winter will bring much more irritation, pain and discomfort. Keeping skin moisturised when the wind is harsh, the air is dryer and the heating is on is even more difficult than usual, and these elements are well known to trigger the itchiness, inflammation and raw, red skin that characterises eczema. Eczema is an inflammatory skin condition that affects the surface of the skin and causes abnormalities in allergy and inflammatory properties. Sufferers’ skin produces fewer fats and oils, which means they are more vulnerable to irritants and bacteria. Margaret Cox, CEO of the National Eczema Society recommends shaking up your moisturising regimen during the colder months to keep your eczema under control. Moisturising your skin around three times a day can be really helpful, and you should be careful to use greasy, non-perfumed moisturisers. It may also be worthwhile washing with a moisturising wash rather than soap and/or shower gels to prevent chemicals found in these products from drying out the skin. Bubble baths and detergents should also be used less frequently. Winter bugs and viruses can impact eczema symptoms – making them worse and harder to manage. Make an extra effort to stay fit and well during the colder months, eating plenty of fruit and vegetables to keep your immune system strong and getting lots of exercise. Make sure you dress in comfortable clothes made of natural materials such as cotton which lets your skin breathe and avoid wearing wool close to the skin. Many eczema patients turn to complementary therapies and more natural healing methods in addition to medical treatment. 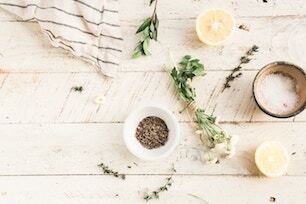 While research into the effectiveness of complementary therapy for eczema relief is minimal, there are popular treatments sufferers will turn to time and time again to address underlying imbalances in the body which are thought to trigger eczema. These include acupuncture and herbal medicine which can help to ease stress and boost health and well-being. To find an acupuncturist or herbalist near you who can help you discover better health from the inside out, please use our advanced search tool. Manage your panic attacks with complementary therapy Do you need more vitamin D?